Home of sport, Dtwo Harcourt Street. 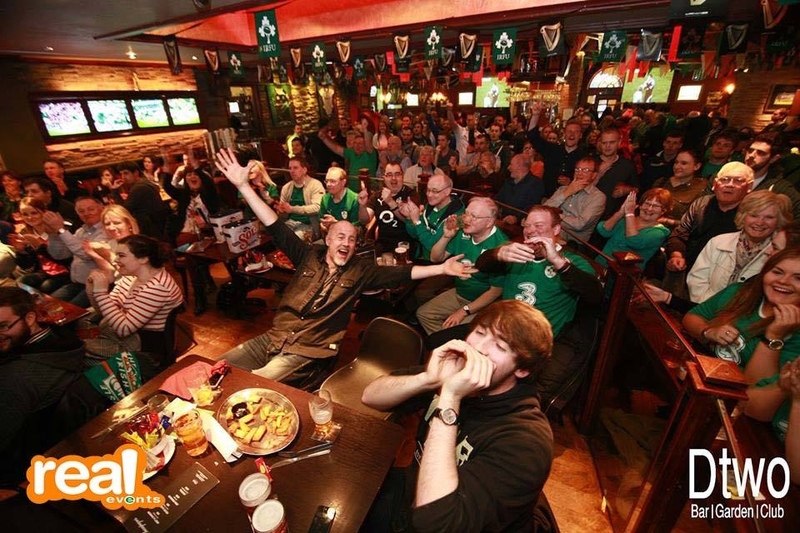 One of Dublin's leading sports bar showing you all the major sporting events. Watch all the action live on 20 screens in our incredible Sports Bar including our 20 foot MONSTER screen! Dtwo offers a stadium style seating for all major sporting events. The BBQ grill will be fired up with a full menu available. Book a table to avail of exclusive Match-Day specials.